Welcome back everyone! 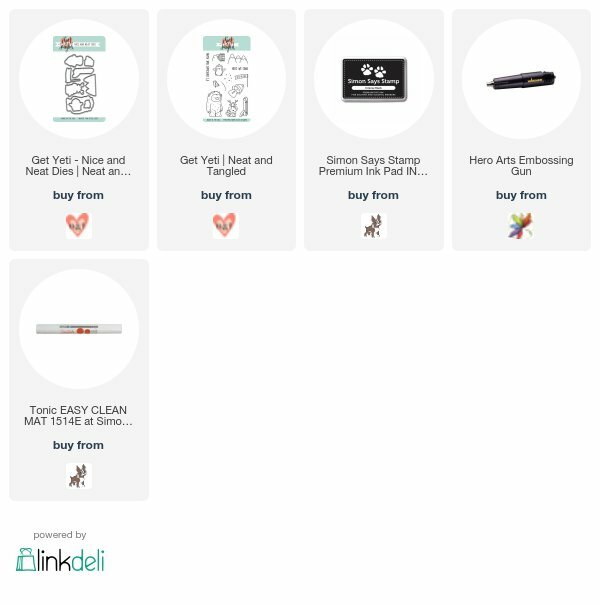 I have something fun to share today! I created a card using some Neat & Tangled products and also created my own stencil! 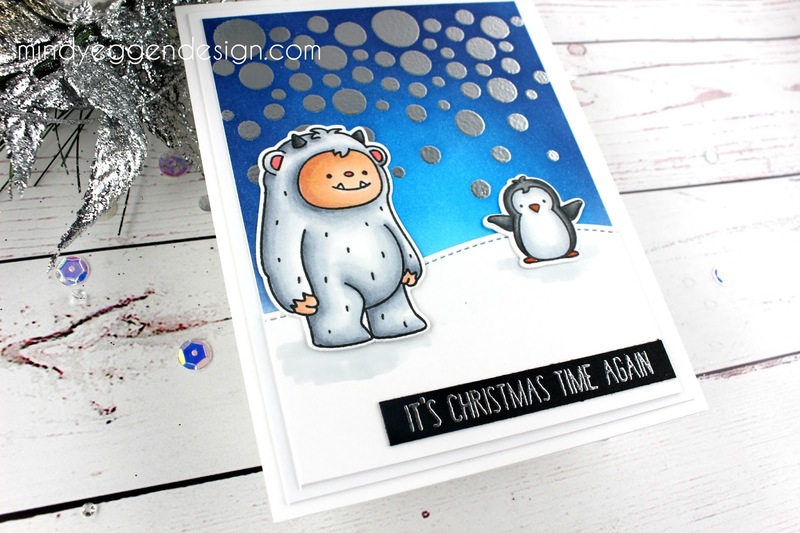 I also have a video for this card as well that you can view down below here on the blog or on my Youtube Channel HERE. 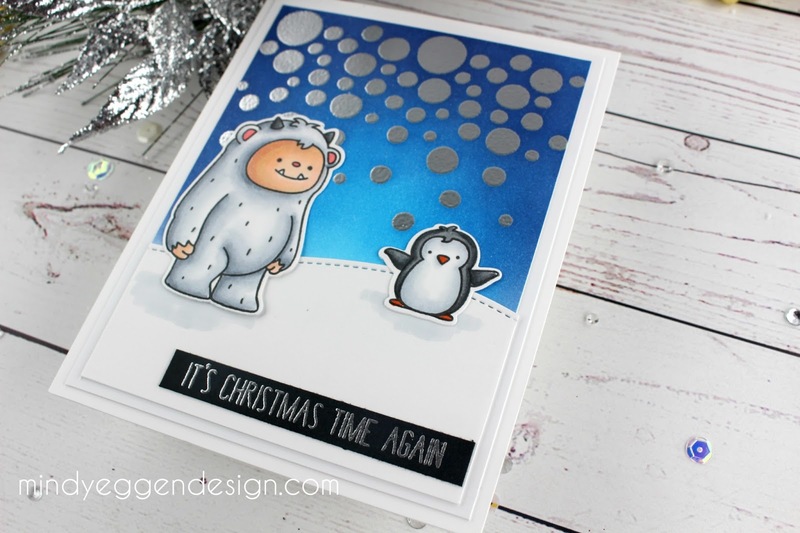 I started by stamping my images from Neat & Tangled Get Yeti onto Neenah white cardstock using Simon Says Stamp black ink. Then I colored with my copic markers and cut out with the coordinating dies. 4 1/4″ x 5 1/2″ and temporarily adhered it down on the sides using post it note tape. The I used my Versamark ink pad and went out the entire piece. Next, I removed my homemade stencil and I was left with the versamark where the circles are. I used Lawn Fawn Silver Embossing powder and heat set it with my heat tool. I used Salty Ocean and Chipped Sapphire distress ink and ink blended over the embossed circles. I kept the light color towards the bottom and chipped sapphire towards the top and edges. I then trimmed down the panel to 3 3/4″” x 5″ and attached my stitched hillside cardstock to the bottom. 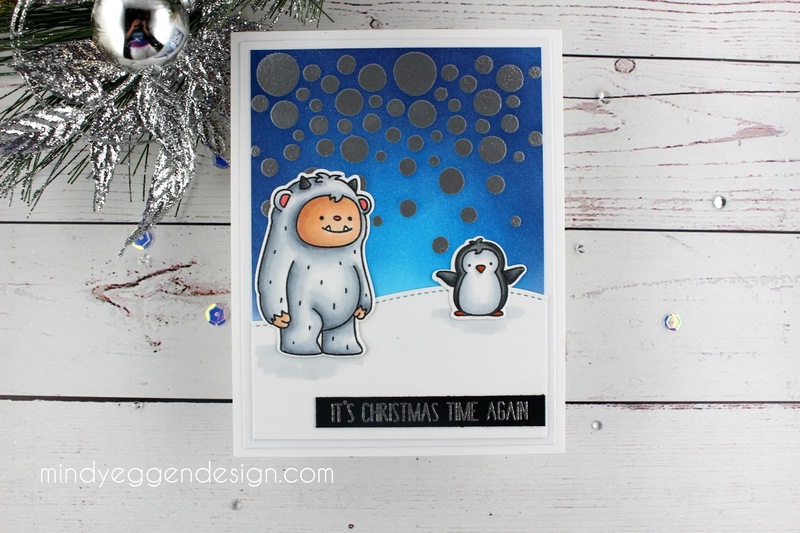 The sentiment is also from the Get Yeti stamp set which I stamped in Versamark and heat set with the same silver embossing powder onto black cardstock. I cut this down to a thin strip and attached to the bottom of my hillside. I then attached this competed panel to another 4″ x 5 1/4″ panel. Then attached to a 4 1/4″ x 5 1/2″ card base. I lined up my images and added a little C1 copic marker to create a shadow where they’d be standing and then attached them. This card is just perfect !